"I've absolutely no doubt that Mehdi Nemmouche, who is here now, was my jailer and torturer in Syria. I knew him as Abou Omar," said Nicolas Hénin. He travelled to Syria in January 2013 and faces a separate trial in France for his alleged role as an Islamic State jailer. Mr Hénin recalled that Mehdi Nemmouche was sadistic because he was full of hatred - "an anti-Semitic hatred". He said Nemmouche admired the Toulouse jihadist killer Mohamed Merah and loathed Shia Muslims. "We were taken out of our cell for interrogation then put back in a cell next door to the torture room. He was wearing combat dress and we came up against him on several occasions," he said. Mr François said he had no doubt that Mehdi Nemmouche had tortured Syrian prisoners. "We heard his voice, we recognised his voice," he said. His fellow ex-captive described how the suspect would hit them during their blindfolded visits to the toilets. 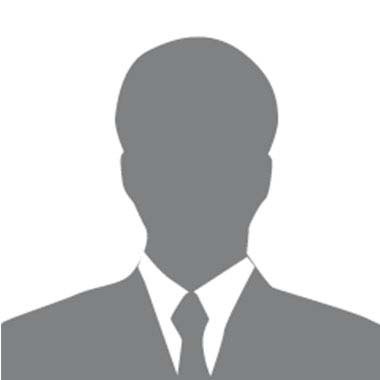 Asked by the federal prosecutor if he had ever met the two journalists, the defendant refused to answer. However, he smiled during some of the accounts given by the two former captives, reporters in court said. 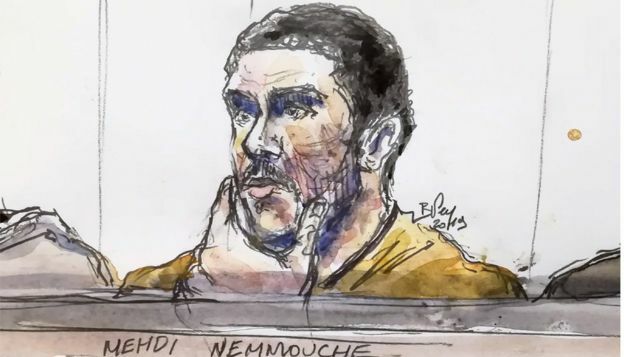 French-born jihadist Medhi Nemmouche was arrested carrying two guns six days later in Marseille in southern France.